The iconic night for Dilla is back for another year, featuring usual suspects Spin Doctor, Kidkanevil, DJ Lok, and a live performance from Phat Kat. Due to commitments every year since I last went in 2012, I’ve yet to return to J Dilla Changed My Life. It makes me sad but thems the breaks (pun intended). 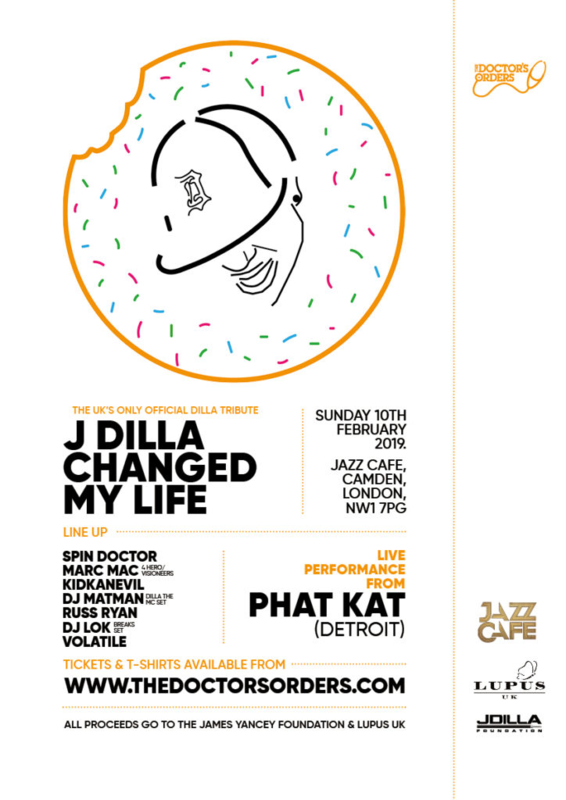 But the UK’s only official Dilla tribute night continues to inspire and this year’s iteration is a banger. For veterans, you’ll spot the usual names but the biggest inclusion has to be Phat Kat who’ll be performing a live set in honour of his late friend and closest collaborator. And alongside paying respects to Jay Dee, the night is also raising money for the James Dewitt Yancey Foundation and Lupus UK, with all profits going to the charities. Stream a clip of 2009’s edition below and peep the set list and link to buy tickets underneath.